Tamil actor Santhanam and a city-based builder allegedly exchanged blows at the latter’s office in Valasaravakkam on Monday over a sour financial deal. They had a heated argument over a financial issue before exchanging blows. The builder along with two other has also been injured, say reports. Police sources have told the Times of India that Santhanam had paid an advance to the builder named Shanmugasundaram for the construction of a mall in Kundrathur in Chennai. After locking in the design, the actor went on to cancel the deal and demanded that the builder return the advance. The builder kept putting him off under some pretext and on Monday, the actor and his manager Ramesh went to meet him at his office. In a short while, a heated argument broke out in which Santhanam and Shanmugasundaram entered into fisticuffs, the sources said. Ramesh and Amarnath, a friend of the builder, who were also at the spot joined in and it soon became a free for all. Neighbours then reportedly pulled them apart. All four of them were taken to a private hospital, treated as out-patients and discharged. 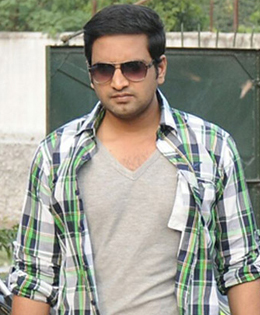 A complaint has now reportedly been launched against Santhanam at the jurisdictional police station by the builder.